Managing a team often feels like chasing your own tail. You’re running around in circles – meeting with team members, drafting and re-drafting timelines, and in the end its usually pretty thankless. Want to know one thing you can do to make your job LIGHTYEARS easier? Improve the way that you manage your time. It will take the stress and uncertainty out of your process. 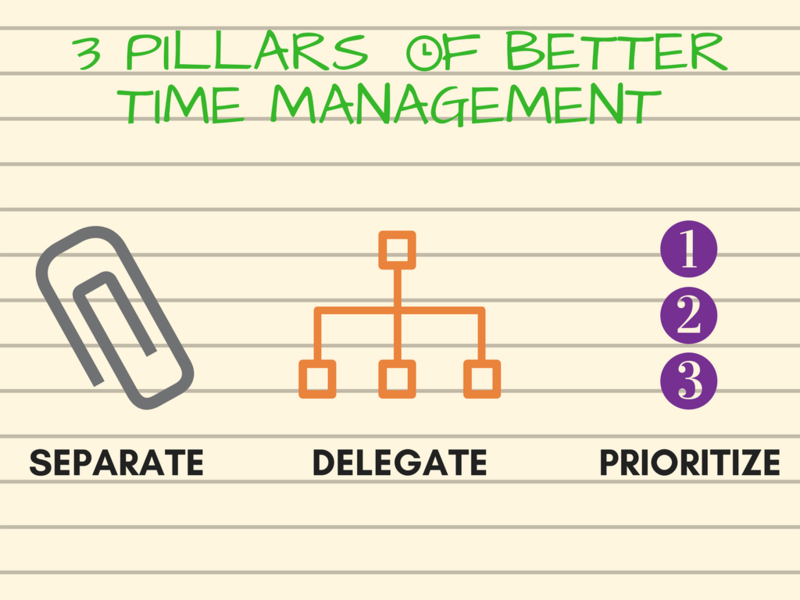 We at UpStart have boiled better time management into 3 main pillars of time management ….for managers. Most companies have several moving parts that operate simultaneously and in cooperation with one another. It can be tempting to move through your projects or activities rapidly, even allowing some of them to blend together both mentally and physically. Unfortunately this ends up creating more work and costing valuable time. It’s important to stay organized by keeping items, tasks, and projects separated. Keep your tasks & projects separated by physically keeping them in separate lists, or files/folder. Make sure these are clearly marked and stored in a easy to find place like a labeled filing cabinet. Keep your tasks & projects mentally separated by making sure that you review or complete each of them wholly one at a time, before moving on to other projects. Make sure that meetings on these subjects stay on-task by only discussing that item. You can make this easier by creating a meeting agenda with bullet points and clear goals or touch points, before you start. Just like any well-oiled engine, a company is comprised of different parts working together to move forward. Think about what would happen if the braking system in a car tried to moderate every other component of the vehicle, what would happen? As a manager you play many roles for your team, but each part of your team has their own functions and responsibilities. If you’re not allowing them to operate their functions independently, you’ll not only take away their feelings of ownership and pride over their tasks, you’ll burn yourself out. It’s hard to let go of control sometimes, but people learn through experience. Relax knowing that if something does go wrong, you can use that moment as an opportunity to teach your team members how to avoid that mistake again in the future. If you’re meeting regularly, you’ll be able to catch a mistake before it disrupts more of the project, and seriously impacts your deadlines. Timelines will sneak up on you fast. If you don’t set clear and realistic timelines with well-defined benchmarks, you can lose track of your progress. You find yourself caught off-guard by how much there is left to do, with the deadline only a day away. 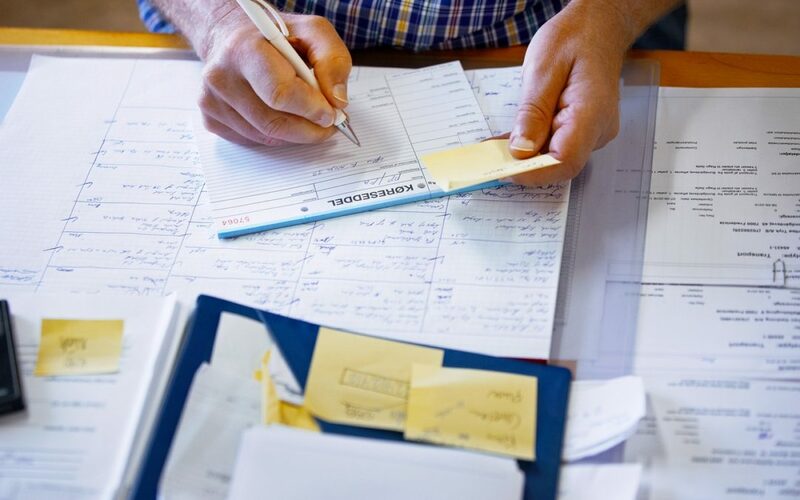 Once you separate your tasks/projects and delegate responsibilities, make sure you plan your timelines backwards from their due dates, giving yourself realistic time to have tasks both completed, and checked for quality control. Then set an order of priorities that can be easily translated into an order of tasks for the respective team members. Everyone should know which phase of a project they need to complete, and by when. When you prioritize you can’t consider just one project at a time, either. Make sure that when you plan your timelines, you’re taking into consideration any other ongoing tasks, or deadlines that may need to be completed for other initiatives, simultaneously. To help visualize these timelines and define an order of priorities, use a shared calendar or even a large dry-erase calendar posted in the office common area. All team members need to be able to access this to make adjustments for any delays they may run into, keeping everyone on the same page if the overall deadline needs to move.